Tucked away along the Utah border, White Pine County — with a population of a little more than 10,000 — is heavily reliant on mining and resource management jobs to support its economy. As in so many rural regions, elected officials have sought to diversify the local job base. To do so, White Pine is turning to an unlikely candidate: Big Hemp. Hemp is not the only part of the county’s diversification efforts. Richard Howe, the chair of the County Commission, named other possibilities: renewable energy, recreation and tourism. For now, though, hemp has taken center stage with a project to build a massive organic grow operation. Once built out, it will span 2,800 acres about 60 miles from Ely, the county seat. “It’s a different way for White Pine County to look at economic development,” Howe said. When asked whether he ever imagined that some of his constituents would want to turn to hemp farming, he responded “absolutely not.” Like many Americans, Howe had always associated hemp with marijuana. Learning more about it, he has come to see it as a different product — and an economic opportunity for the county. Howe sees a big market for hemp. The crop is used in a number of food products, including granola, tea and even beer, and is also processed to isolate CBD, a non-psychoactive cannabis compound taken as medicine. What else changed Howe’s mind? He said the 2018 Farm Bill played a big role. Signed by President Trump in December, the 2018 Farm Bill legalized hemp production in the eyes of the federal government. Until this year, the Department of Justice had regulated hemp as a Schedule I drug, despite the fact that hemp is a distinct form of cannabis from marijuana that contains a low concentration of THC, the chemical responsible for marijuana’s high. Farmers had long-awaited the move. Industry observers told The Nevada Independent in April that the legalization of hemp could alleviate some of the challenges that come with operating in a legal gray area. Although hemp was regulated at the federal level, a previous Farm Bill carved out a loophole allowing states to authorize its cultivation and sale if it served as research for the industry. Nevada and more than 30 other states took advantage of that opportunity. In 2015, the Legislature voted to create a hemp pilot program. Because hemp was classified as a Schedule I drug, the program came with a set of restrictions. Hemp could only be bought and sold within the state, which placed a cap on the market and demand. If growers purchased seed from other states, they did so at their own risk. In legalizing hemp, the 2018 Farm Bill removed many of those barriers. 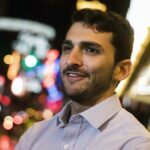 Product can now be shipped across state lines with less fear that the government might clamp down on the growing industry. And federally managed water can now be used to irrigate hemp fields. That could be good for Nevada hemp farmers — but it also means they might face more competition. “We’re going to see a lot of economic shift as the program evolves throughout other states,” said Ashley Jeppson, who oversees regulation of hemp production for the Nevada Department of Agriculture. Joe Frey, a Fallon-area rancher and owner of Western States Hemp, said the federal bill will have a noticeable effect on moving product, financing and getting access to traditional agricultural instruments like crop insurance. Frey, whose family has farmed in the area for more than a century, said his company had been denied loans and or bank accounts for its hemp business. But the Farm Bill won’t eliminate all of the headwinds facing growers. Although there is potential to make money off of hemp, Frey said some price estimates for hemp in Nevada were inflated. In April, one farmer told The Nevada Independent the going price for hemp hit $350/pound. Frey said that expecting to get paid that much for hemp was often unrealistic. He also said his company has struggled to find “honest buyers” to transport the crop. During the last two years, Frey said brokers have approached his company to enter into about 50 or 60 deals but only two have come through. Buyers, he said, often promise great prices only to inexplicably back out of a deal, making it difficult for Western States Hemp to sell its product. 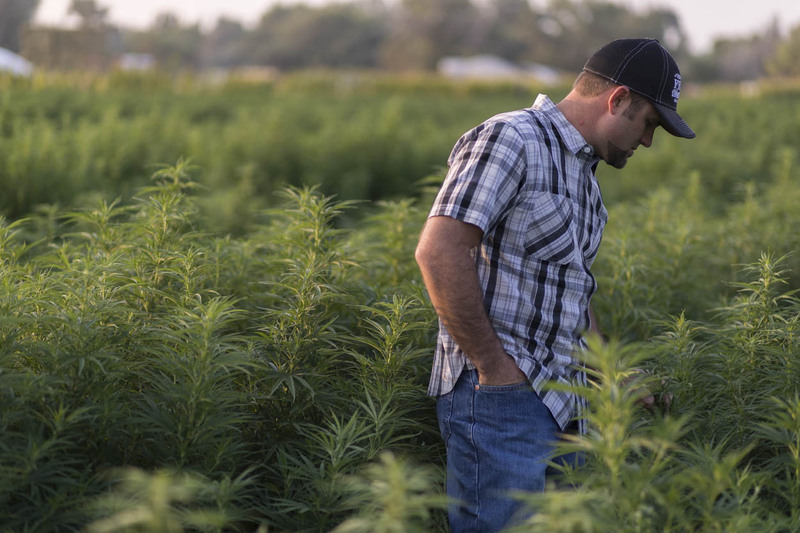 It’s an issue unique to selling hemp, said Frey, who also grows alfalfa, corn and triticale. “We are chasing our tail every day looking for honest buyers to pay a fair price,” Frey said. Frey encountered those problems under the state’s pilot program, a contained market in which growers could only sell their product in Nevada. In an open market that allows for transactions across state lines, there is concern that hemp prices could fall even further. Nevada, Segerblom worried, could lose out to states like Kentucky or Wisconsin, where there is more water to irrigate hemp crops. Kentucky has one of the largest pilot programs for hemp, and its politicians, including Senate Majority Leader Mitch McConnell, pushed hard for the Farm Bill. Even before the Farm Bill, interest in hemp had skyrocketed in recent years. Between 2016 and 2018, the numbers of growers registered with the Nevada Department of Agriculture rose from 13 to 116. In 2017, Nevada hemp was grown over 17,170 square-feet in indoor facilities. By the end of 2018, that number had grown by 1,272 percent. The same is true for the amount of hemp irrigated outside. In 2017, hemp was grown on just 490 acres. In 2018, the number was 1,880. Rusty Jardine, the general manager of the Truckee-Carson Irrigation District said growers have continued to express interest since the Farm Bill’s passage. The irrigation district, which helps manage the water flowing through the Truckee Canal between Sparks and Fallon, discussed hemp cultivation at its board meeting next week. But Jardine echoed the sentiment that even with the Farm Bill, growers face hurdles, including the fact that hemp seed can be pricey. For the irrigation district, though, the Farm Bill should have immediate effects. 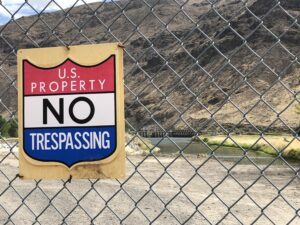 Until the measure passed, growers were usually not allowed to irrigate hemp crops with water managed by the U.S. Bureau of Reclamation, a federal agency that oversees the Truckee Canal and other waterways across the West. With the legal change, Jardine said in an interview last week that farmers should now be able to divert canal water to grow hemp. “Reclamation is accommodating the change of the law,” Jardine said. Under the new federal legislation, hemp will still be regulated to a greater degree than other crops such as alfalfa or cantaloupes. The law says that hemp plants cannot contain more than 0.3 percent THC, or they will be considered marijuana. State regulators, in concert with the federal government, will remain in charge of regulating hemp cultivation and testing THC levels. 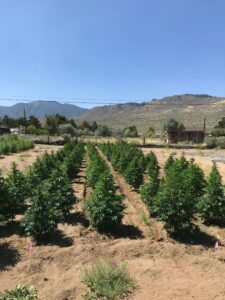 When the White Pine County project, known as Silver Lion Farms, comes online later this year, it could significantly increase the amount of hemp grown and sold in Nevada. Tracy Saville, its CEO, said the company has partnered with a big-name consumer agricultural brand. Silver Lion Farms plans to begin planting seed in April and has entered into agreements that could be used to pre-sell most of its product. The company, which Saville said is fully financed, expects to grow crops in areas that used to produce alfalfa as well as build a 250,000 square-foot greenhouse. The end goal: produce about 7 million pounds of organic hemp in the Nevada high desert.